The Middletown roofing contractors at Serrano II Inc are continuing a family tradition of building excellence that goes all the way back to 1968. Our second generation of Middletown Roofing Contractors has the ability to service all of your roofing related needs. We take a great deal of pride in our work and this is evident in the high quality of our services. We are a full-service roofing contractor that also specializes in siding, attic, gutter, and skylight related services. Our Middletown Roofing Contractors are excited to put our best effort forward to help you with your next project. The only constant in all of our varied services is our overall goal of maximizing your satisfaction. We do this by treating all of our projects as a substantial investment to your property. In each project, we want to beautify the exterior of your home or business while providing the longest lasting addition possible. In this way, we can guarantee that you will be completely satisfied with all of our efforts. The roof of your Middletown home or business is of vital importance. It is the first line of defense your property has against adverse weather conditions. As such, it is imperative that you properly monitor and maintain your roof. Because your roof is constantly subject to elemental damage, it will inevitably degrade. Our professional roofing contractors provide all of the services you need to ensure that your property is properly protected. 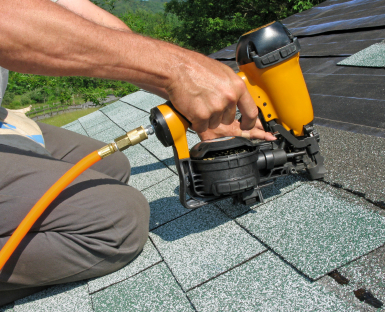 We offer extremely thorough roof inspection services and routine roof repairs. During our inspections, we can identify and repair all problem areas on your roof. This routine maintenance mitigates repair costs and extends the service life of your roof. By repairing roofing leaks, you also improve the energy efficiency of your home. If you have been considering undertaking a remodeling project, you should consider installing a skylight or sun tunnel in your Middletown property. These are great, unique ways to improve both the interior and exterior of your property. Both features will substantially increase the amount of natural light within your home. 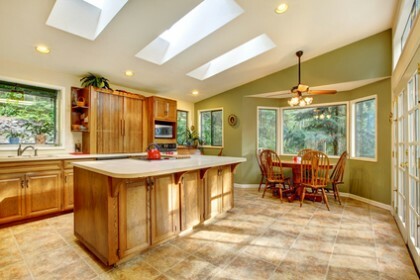 Skylights can improve the ventilation and comfort of your property’s interior. Our professional skylight installation and repair contractors can help you beautify both the interior and exterior of your home. You and your family will enjoy all of the benefits these systems have to offer. With our expert Middletown Roofing Contractor advice, you will feel confident that you made all the right choices when it comes to your skylight installation project. On this roof, the homeowner had the solar panels removed from the front of the house. We stripped the old roof off, replaced the damaged wood in the areas in the back where she had her leaks, and installed new GAF timberline HD architectural shingle in Shakewood, with new snow country ridge vent…. If you need to hire a professional Middletown Roofing Contractor, call Serrano II Inc at 845-692-2226, or fill out our online request form.